Tickets are $12 adv $15 day of show. "A gang of sweet angels punching you in the heart." Rainbow Girls are an eclectic folk trio hailing from the golden coastal countryside just north of California's Bay Area. 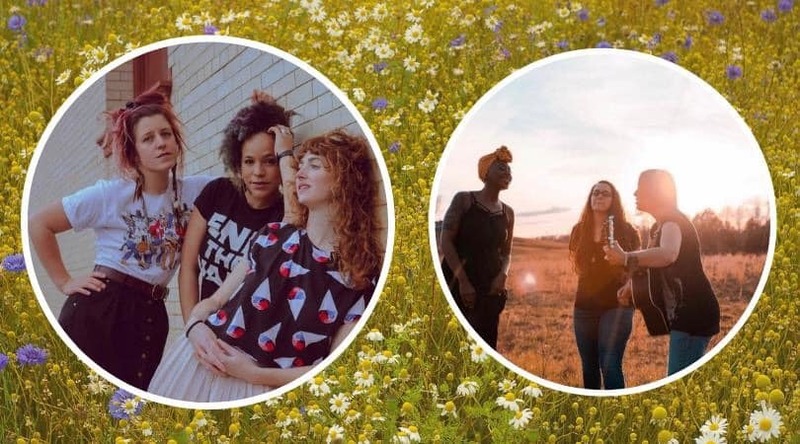 Comprised of three unique musical talents - Vanessa May, Erin Chapin, and Caitlin Gowdey - they seamlessly combine soul-touching harmonies, varitextured instrumentals, and poignant lyrical content into an unusually beautiful sonic tapestry. Pairing their voices with acoustic and slide guitar, keys, upright bass, voice, harmonica, and a variety of more unexpected vocal techniques like beat-boxing and mouth trumpet, they create engaging and emotionally moving live performances. Their music delves deeply into themes of the human experience: hopeful love, honest self-reflection, and pursuits of social justice, to name a few. Their latest album, "American Dream,” crystallizes these ideas in acoustic amber, encapsulating a beautiful new direction for their evolving sound.